The designer of the new (and current) bridge was Thomas Page with the assistance of Sir Charles Barry, the architect of the Houses of Parliament. No doubt Barry wanted to make sure the new bridge was in keeping with his nearby Gothic Revival creation, and it was opened on Queen Victoria’s forty third birthday on May 24th 1862 . Here’s one for those of you who like snippets of useless information – Westminster Bridge is painted green and there’s a reason for it. 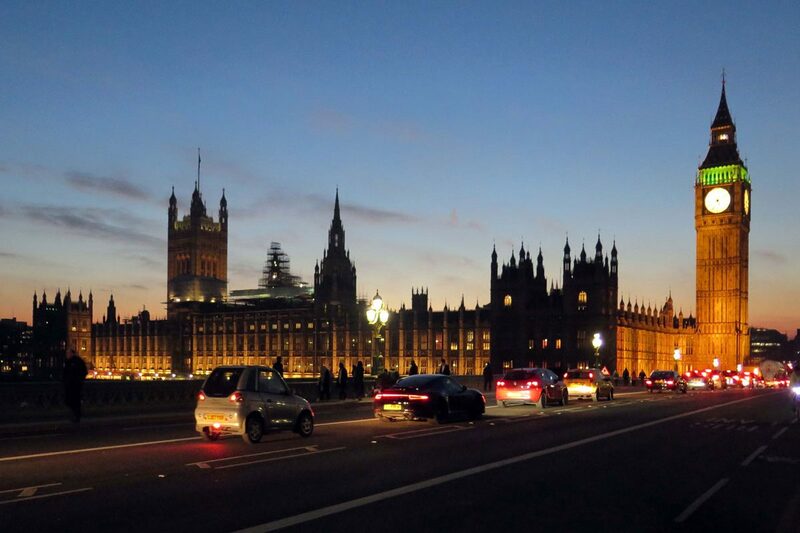 Its location is on the side of parliament nearest to the House of Commons with its green seats – and Lambeth Bridge, on the far side is painted red – and guess what? It’s on the side of parliament nearest to the House of Lords which has….red seats!. Anyway, where was I? – oh yeh! This Grade II listed 250m long wrought iron bridge stretches across the Thames between Parliament and the former County Hall on the south bank of the river. When walking across it your eyes are bound to be drawn to the views up and down the river and towards Parliament, but try and remember to take note of Boudica’s Statue on the Westminster side and the Coad Lion over on the South Bank. Westminster Bridge might not rank as one of the world’s most iconic structures, but I couldn’t imagine London without it somehow – and it definitely makes life easier than catching the ferry. I’m sure that you’re not the only one to miss the statues and as you can tell I’m resurrecting some of the old VT stuff, but bringing it up to date of course. Excellent work …. good to see it.